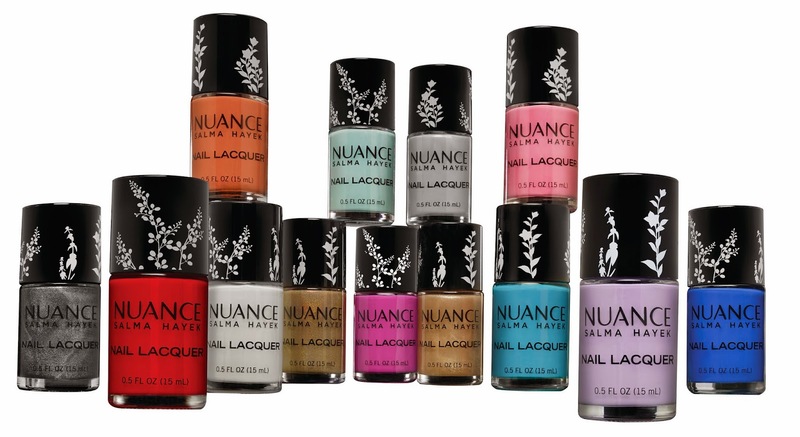 Home » CVS » Holiday 2014 » NUANCE » NUANCE: Introduces 13 More Reasons to Love their Brand! NUANCE: Introduces 13 More Reasons to Love their Brand! 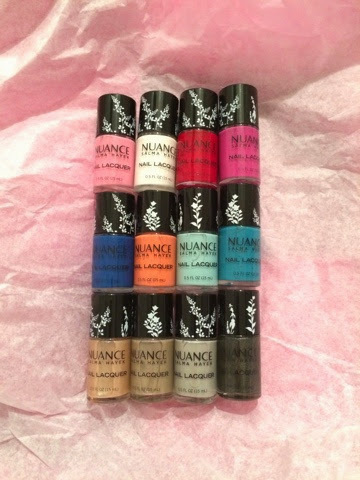 Nuance Salma Hayek: a premium beauty line exclusive to CVS/pharmacy® that combines exotic, natural ingredients, ancient beauty secrets and advanced science to create products that are designed to enhance the nuances that define every woman’s individual beauty has launched 13 new Nail Lacquers for the Holiday season. Fortified with nourishing oils and natural botanicals, bold lacquer formulas provide chip resistant color, long-lasting coverage and intense shine. A vitamin-rich top coat adds strength and a botanical-infused base coat provides protection from staining and discoloration. 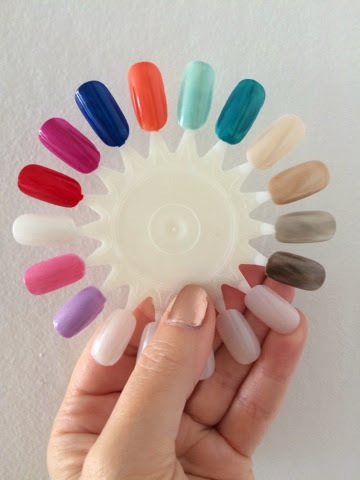 New Lacquer shades include White Jasmine, Petal Pearl, In Bloom, Lush Lavender, Moonbeam, Black Caviar, Wild Orchid, Red Ginger, Sea Glass, Tropical Jade, Blue Agave, Coral Reef and Desert Sand. Others are Desert Mist, Café Latte, Dark Earth, Goldstone, Black Dahlia, Blush Peony, New Primrose, Pink Grapefruit, Bare Kiss, Vapor, Cayenne, Deep Orchid, Azalea, Prickly Pear, My Favorite Nail Lacquer, Lilac, Midnight Blackberry and Evening Haze. How to Use: Apply a thin layer of base coat followed by 2 coats of lacquer. Then apply a layer of top coat for a super shiny, chip-resistant finish. Availability Available exclusively at CVS/pharmacy locations and CVS.com.